Inspired by Stamping is sponsoring Addicted to Stamping & More and we (the design team) are playing along with this weeks: VINTAGE theme. I really love how this came out. Love all the neutral colors, then the splash of color with the mini green pompoms. Here is a closer look. I used Fancy Labels Die #1 and cut kraft cardstock and patterned paper from KaisereCraft. 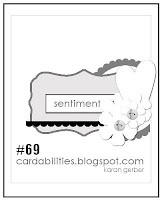 I inked the kraft cardstock with walnut distress ink, just before stamping the sentiment from Cute Circles. Do you see that cute bird in cage. 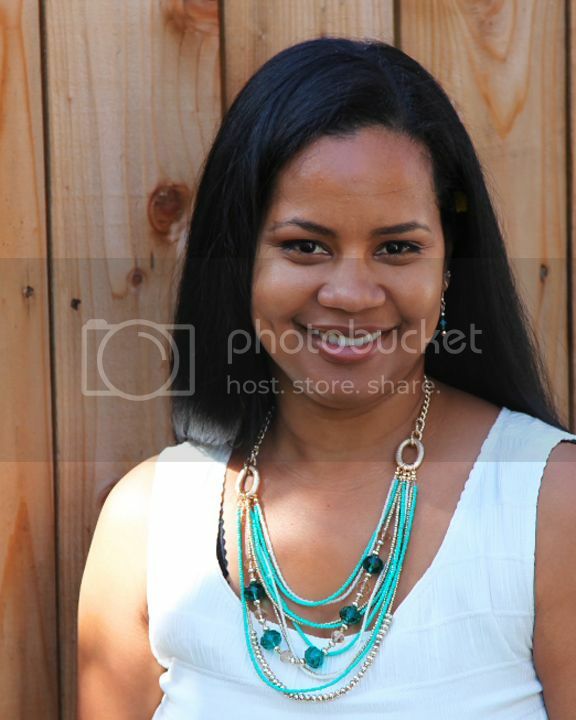 My hubby found those and bought me lots of beautiful charms, while downtown a few weeks ago. What a sweetheart...Gotta love him. So I hope that you will join Addicted to Stamping & More this week for a chance to win $20 gift certificate to Inspired by Stamping, for some amazing goodies. Gorgeous vintage card. Love the fabric flower and leaves. Thanks for playing along with us at Anything Goes. Beautiful! Love this card and all the vintage details! 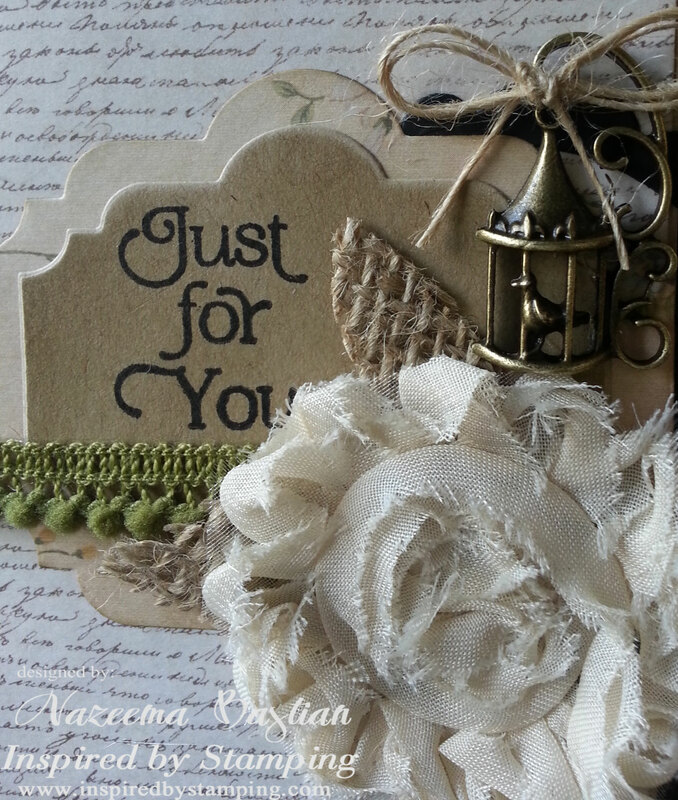 Gorgeous Card Nazeema. I would never be able to give this away if I had made it. Great to have you joining in the ATS&M challenge this week. Your card is simply stunning! I love that flower. What a fabulous card! All the elements you've used really work together. Beautiful!! Beautiful flower and darling birdcage charm. A wonderful vintage card. Thanks so much for joining us this week at Addicted to Stamps and More and providing some extra inspiration. Beautiful job. I really love how well you put this together and all the different textures! Thanks for plays at Loves Rubberstamps. Great Card! Love the flower! 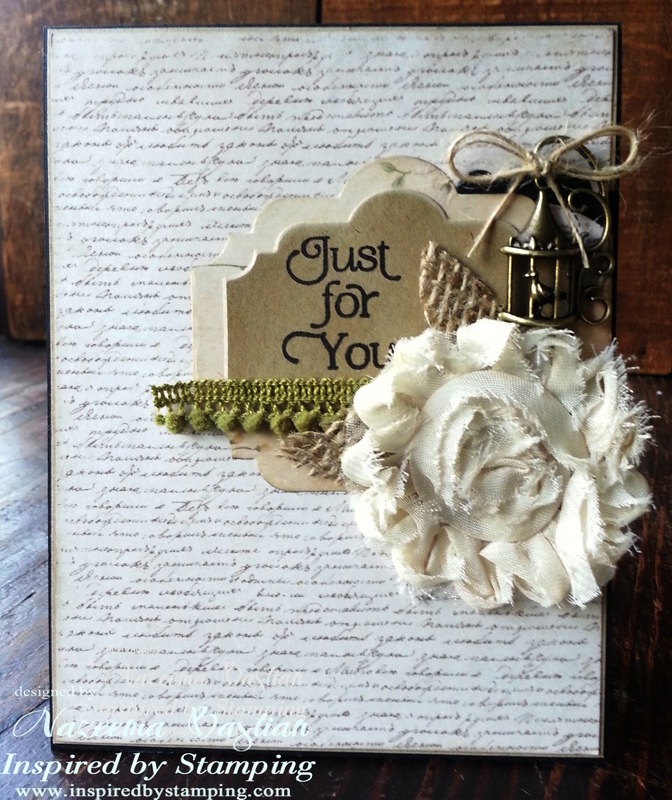 Fabulous card, love the layers! Thanks for playing with us at Loves Rubberstamps! Absolutely stunning! !the script background is perfectly complimenting your card and that flower is awesome!